Alright guys! 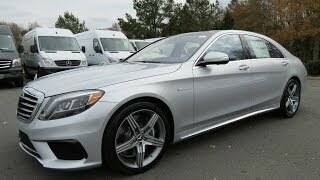 Here it is the most powerful vehicle in its segment of the market, the 2014 Mercedes Benz S65 AMG! 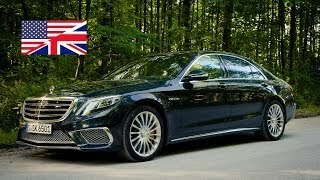 The new S65 AMG delivers 630 hp of power and 1000 Nm of torque with its V12, twin-turbocharging 6.0 AMG engine. 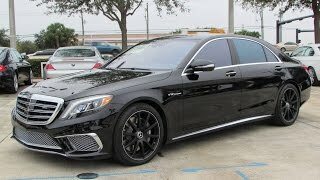 The S65 AMG accelerates from 0 to 100 km/h in just 4.3 seconds and has an electronically limited top speed of 155 mph. 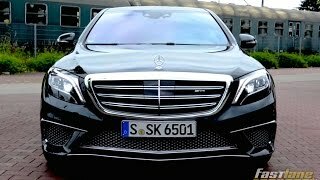 In spite of such a powerful performance figures, the S65 AMG is fuel efficient - has a fuel economy of 23.7 mpg. That's pretty impressive. Also new for the car is the AMG Speedshit Plus 7G-Tronic, the seven speed automatic transmission with wide ratio spread. The 7G-tronic ensures lower engine speed level which in turn reduces the fuel consumption. The new AMG Speedshit Plus 7G-tronic has three individual driving programmes: Controlled Efficiency, Sport and Manual. In manual and sport mode, the emphasis is on sportiness. The new S65 AMG 2014 will premiere simultaneously at the 2013 LA Auto Show and 2013 Tokyo Auto Show. No official word has been released for the pricing at this time.